IF campaign supporter David Walliams joined 100 school children yesterday to meet Prime Minister David Cameron and call for action to tackle global hunger. The Prime Minister was presented with specially crafted plates from each of the children attending, representing more than 30,000 plates that have been decorated by school children across the UK (many of them from UNICEF UK Rights Respecting Schools). The hand-in comes ahead of the G8 meeting in Northern Ireland and the Nutrition for Growth Summit that the UK Government is hosting in London this Saturday, 8 June. David Walliams joined the children in support of the IF campaign, to show the Prime Minister that they are calling for action to tackle the global hunger crisis that is responsible for almost half of child deaths every year. 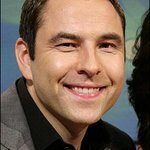 Urging the Prime Minister to build on existing commitments to nutrition programmes at this weekend’s summit, David Walliams who is also a Comic Relief Honorary Trustee and UNICEF UK supporter said: "Now is the time for our Government to go further and show the rest of the world’s leaders that we’re serious about ending global hunger and poor nutrition. "It was a great experience today. This was a really good opportunity for us to make our point to the Prime Minister directly. He seemed very passionate about the issue of making sure that children everywhere have enough food." And over the next 10 days the campaign wants to see G8 leaders tackle the causes of hunger, all of which are well within the G8’s grasp.